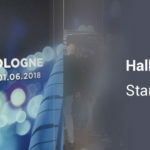 The Tire Cologne is a brand new, international trade fair for the tire industry which is being held at the Koelnmesse in the German city of Cologne from 29 May to 1 June 2018. 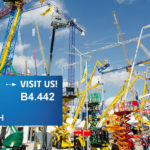 This eagerly-anticipated event has attracted interest from all sectors of the tire industry, from tire manufacturers to recyclers and wheel companies to workshop equipment providers. The four halls of the exhibition offer almost 70,000 square metres of floor space. Among the companies to sign up for the show is MAITECH TIRE, the manufacturer of speciality tires, headquartered in Verona, Italy. Star of the 84 sq. 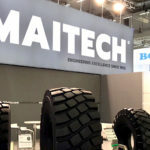 m. MAITECH stand will be a new range of radial OTR tires, plus the company will display other examples from its product range, including small bias construction, industrial and solid tires.